Boy! I can't wait for this album to come out from Mr. Downstairs. They just keep teasing me with snippets of songs, tease me with sporadic shows around L.A., tease me with their awesomeness. Puh-leeez just release the record already and end my suffering. Oh well...until then, here are some vids of songs (I hope) will be on the new album. 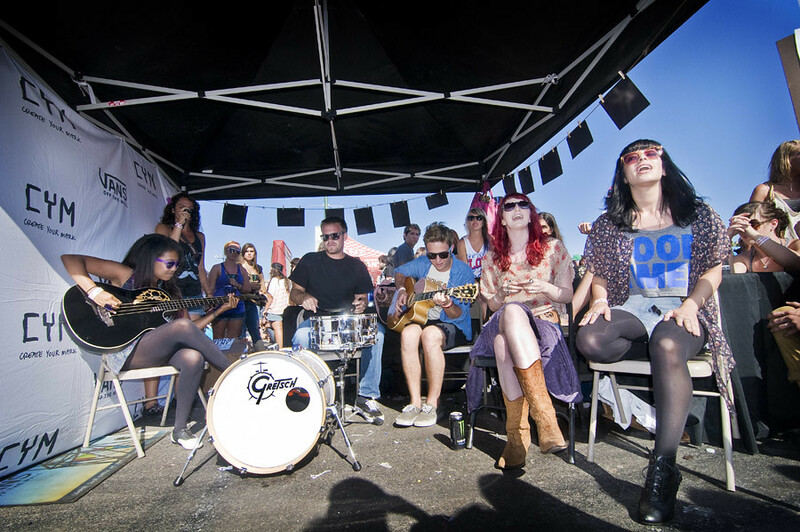 This year, Mr. Downstairs, for me, was the highlight of this year's Van's Warped Tour in San Diego. They've officially released two singles "Legendary" and "Stranger Danger" earlier this year. You can purchase those songs right HERE on iTunes. And check this out. Mr. Downstairs has been nominated for Favorite Vans Girls Musical Performance from 2011. You can vote HERE. Polls end at midnight on Dec. 31st.